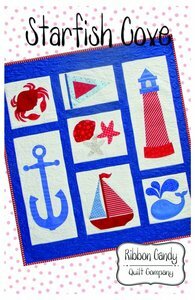 Enjoy a day on the coast anytime with this fusible applique wall hanging. It's the perfect size for any room. The quilt finishes 40" x 44". With easy to follow instructions and full size templates, you will have this quilt done in no time at all. The quilt finishes 40" x 44".